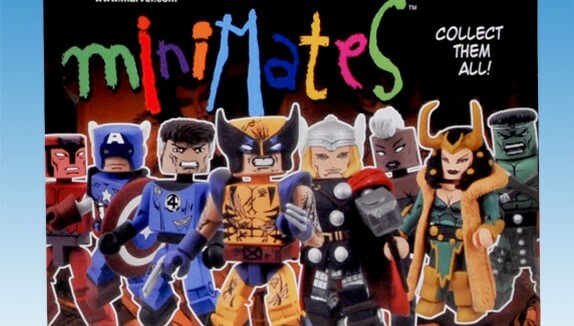 Continuing to expand after forty series of Marvel Minimates, we now have the line-up for the 41st series. From Diamond Select Toys and Art Asylum this series will include: Classic “Unmasked” Spider-Man and Green Goblin (with Goblin Glider! ); First Appearance Iron Man and the Hulk (a “bulked-up” version); and Mr. Sinister and Nimrod; Age of Apocalypse Mr. Sinister Variant and Nimrod 2-packs. 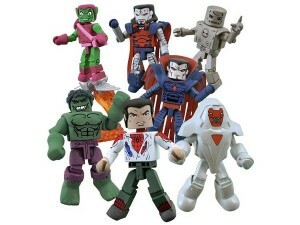 These have an estimated arrival of September 2011.